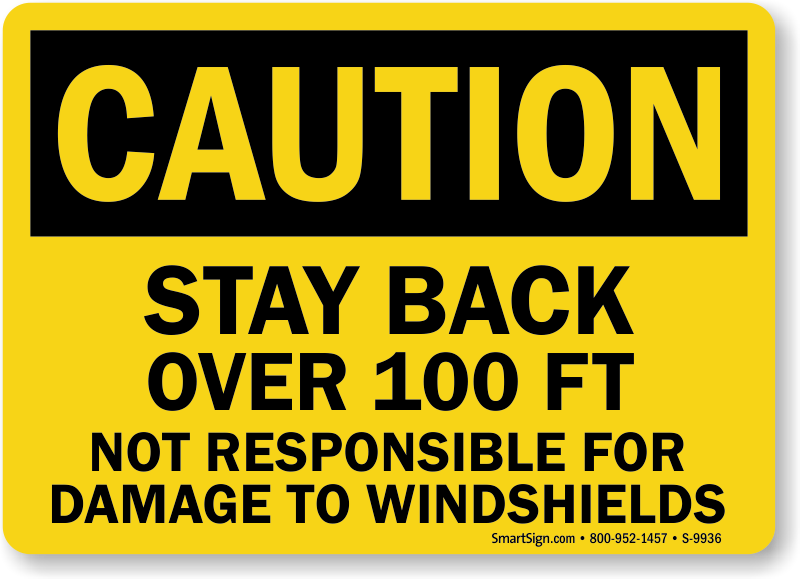 This Stay Back 100 Ft. Not Responsible For Damage To Windshields Sign not just reduces your liability; it also shows you are a responsible driver. 10" x 14", heavy-duty sign is great for outdoor use. Perfect for the back of our dump trucks that are on the roads! !